The DOT agencies do not certify supervisor and employee drug and alcohol training. Instead, they provide guidelines. So learn them quickly and painlessly right here. Click below to get our downloadable training requirements and have a reference to help your decision process. The FAA employee education requirements are highlighted in regulation 49 CFR part 120.115. We summarize the key elements of the regulation here. 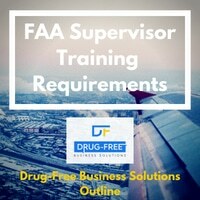 The FAA supervisor drug and alcohol training requirements are laid out in 49 CFR Part 120.115. Find out the key requirements of FAA supervisor training requirements. The FMCSA employee education requirements are explained in 49 CFR Part 382.601. 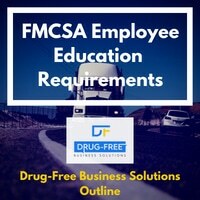 Read a summary of the regulation here, and learn the key requirements for FMCSA employee education easily. The FMCSA supervisor training requirements are laid out in 49 CFR Part 382.603. Read our summary of the regulation right now, and learn all the key points with little effort and time. The Georgia employee drug and alcohol education requirements are listed in O.C.G.A. §34-9-417. Learn what you need out of your employee drug and alcohol training in our summary now. We make it easy for you. The Georgia drug and alcohol training requirements for supervisors are explained in O.C.G.A. §34-9-418 We provide you a summary right here. Learn quickly and easily about your training needs. The Tennessee employee drug and alcohol education requirements are listed in the rules of the Tennessee Dept. of Labor. Learn the key points now by looking at our summary right here. 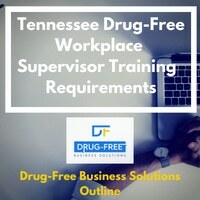 The Tennessee supervisor drug and alcohol training requirements are explained in the rules of the Tennessee Dept. of Labor. We give you a summary of the rules right here, outlining the important need-to-know points. Learn quickly. 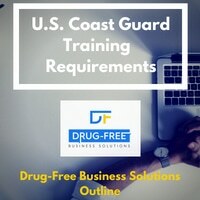 Learn about the U.S. Coast Guard drug and alcohol education and training requirements for crew members and supervisors in our summary of the regulation 46 CFR part 16.401. Learn simply and quickly. We highlight all of the important elements in the regulation. Bottomline: we create amazing drug and alcohol training that is easy to take, easy to learn, and easy to administer. We frequently update our training in order to keep our facts and figures current and accurate. The training is designed to engage, providing interactive exercises to ensure that you actually learn something. It could mean someone else's health and safety in the future. When you buy training from us, we administer it for you. We get it to your trainees' inboxes with little effort on your part. Then they can take it at their convenience, and we will moderate their progress for you, keeping you updated along the way.